Thanks, Darius - I'll bug you offline about getting those. The other thing is the reverse gear is really helpful on hills!! My SilverWing was a bear when I had to back it up uphill (my driveway is really steep). Also the reverse speed-limiter (so you only can back up slowly) was a good idea. Nice that ZEV is now providing parking brakes. I didn't know these things existed. I used to want a parking brake, but I eventually learned to park the bike in a way that one wasn't needed. I only rarely used the SilverWing parking brake when I lived in LA. WoW - those grip locks are really cool! We used to put a paddle-lock in the holes of the brake rotor - and could also lock the D-ring of the helmet there - but the handgrip lock is way better (too bad it doesn't have a D-ring lock). Almost everyone I know (including me) has forgotten the paddlelock and put a ding in their brake rotor during an aborted drive-away (although if you put your helmet D-ring there also, that doesn't happen). Many will let you charge without giving them business - especially if it is needed to get home. They got a tax credit installing it so it cost them very little. But can you charge at a electric car EVSE (charging station)? Your scooter has an external 120V charger, correct? Yes, I can carry the charger with me, and it plugs into a standard 120VAC outlet (at about 11 Amps). I specifically requested a charger which could run on a standard 15A outlet. Do those stations have such an outlet? I've never been to one. Do those stations have such an outlet? I've never been to one. and the socket on my scooter is the thing on the right in the photo. The yellow plug on the right covers the 120 volt charging socket. As I previously, An on-board charger is really the way to go. No loss of cargo space, no loose charger for someone to steal or vandalize while it is being charged (it will overheat if locked under the seat in use), and if it has a socket for a car charger, you don't even need to carry a extension cord. In a pinch, you can "opportunity charge" from any outdoor 120 volt outlet - which can be found in a number of places in parks, parking lots, and public spaces. That throttle/parking brake lock does have a D-ring lock. Slide the D-ring over brake lever and then install the lock. Nice J1772 port install. I had bought one for my old S6100, but after contacting the GBS distributor, they said never charge at a rate exceeding 1/3C. My S6100 only had 40AH cells for a max charge rate of 13A. I had wanted the full 30-32A out of a L2 EVSE. My T7100 has 60AH cells but I still would be limited to a max charge rate of 20A. My 120V charger outputs 14.3A from a standard 15A, 120V socket. The difference between 14.3A and 20A wasn't enough to rewire the T7100. That said, I feel some envy that you have the J1772 mounted on your bike. Nice work! 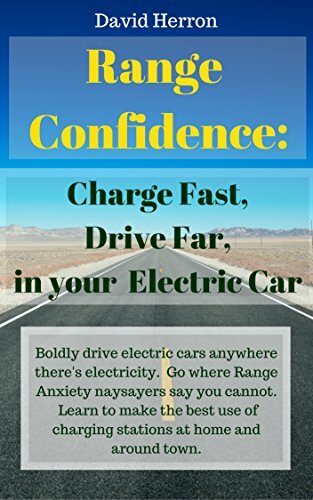 The EVSE only communicates to the vehicle the maximum safe current the charger can draw not what it will draw. The charger itself probably charges the pack at the same rate at 240 volt AC input as 120 volt AC input (mine does) - that is controlled by the charger's logic which would need to be changed by reprogramming, not the AC power supply going into it. Is the charging rate changeable on your scooter's charger? The J1772 socket is for convenience. Most "legitimate" places to charge the scooter (as opposed to sneak-charging) take the form of public J1772 EV charging stations. One of the first things I did was making my external charging box an internal charger on the Zev T8500 . I did it by making a box I could place at the position the toolbox with the BMS is situated. The BMS is also inside that new box now and the charger is bolted to the lid of the box as you can see on the picture. Nice setup. Have you taken it on the road, and, if so, here have you charged? Thnx, it almost looks original like that and it doesn`t take space at all. My Dutch ZEV dealer was the one who came with the idea to do it like that. Of Course I have already taken it on the road like that. I live in Europe (sometimes in France and sometimes in the Netherlands) and untill now it happened only once that I had to charge halfways.But I'm planning another big tour next week ( now I am in the Netherlands where there are plenty of charging points) and then I certainly have to charge during that trip. The only thing I still have to think about is how to keep my charger dry when it rains while I'm charging. I must confess that it is a pity that my new charger ( the old one broke ) can only charge 10 A while the old one could charge 15 A. For on the road it is nice to keep the charging pause as short as possible and with the old charger I could charge the batteries for 75 % within half an hour. With the new one it definitely will take longer to get to that percentage. ZEV is working on photos and a chart so you can open it up and run your new charger up to 15 amps. Probably out by Monday. Thnx Darus, most kind of you. I'll be looking forward to that. Apropos Charger 230 V or 120 V plugs. The ZEV chargers for Europe have default Schuko plugs but the official places where you can charge often use Mennekens 2 plugs or CEE plugs or - as in France . EV Type 3 plugs. So you can imagine how much adapters I have to carry with me to be able to charge. ZEV started out in 2006 with no oil in the motors. By 2010 there was just enough to cover the air gap when the bike was parked (volumes differ by motor model). By 2012 the motor were up to what they are today, between a 1/2 quart and a quart depending on models. Its not ferrofluid. Its a synthetic power transformer oil that acts as an insulator, a lube, and a heat transfer agent. There is no real pressure in a hub motor so the seals do not have to perfect around the side plates. No leaks. We were milling cases for O Rings but found that just a wipe of RTV does the job. Teardowns show zero corrosion in the motors after 7 years in the field. A few dime sized stains on the iron was he worst seen. Condensation can form in all motors just from the air breathed in and out by motors. Motors that never really get hot, like most factory forklift motors often see condensation marks and corrosion. But the oil kills the corrosion. Fluid levels should be checked every couple of years in hot climates due to some oil evaporation. No shaft seal is air tight leakproof and air goes in and out of any motor, engine, transmission, rear end, etc. every time the motor heats or cools. The new T3-1 enclosed trike is our first regular vehicle (not heavy work related like the taxi or dump vehicles) to use a non hub motor. It gets the oil also, and the work trike have been doing that for years. When we go over 1,000 lb load capacity in the work vehicles, in the hotter climates they get an very small electric pump and a small radiator. India and Mexico can be brutal hot. So can Arizona, but the USA has not bought any of the work vehicles. The new T3-1 trike is a bid for the 87% of the USA population that does not ride on two wheels. Generally a bad idea to take the batteries all the way to the point the bike won't move, but that's what happened to me last Sunday (day 4 on the chart below)... :-( I was trying to see how far I could go before the voltage got too low, so there were no intervening charges over these 4 consecutive days. I didn't realize how quickly it would drop after 85V or so when on the highway. Oh, and while I'm thinking about it - is the LRC's regen energy-capture rate limited by bike speed, or battery recharge rate, or both? My charger dumps about 11A into the batteries, so I guess battery recharge rates are pretty large. Also, note this is the LRC6 - the smallest battery pack (6kW) available in the LRC's. Interesting!! In the recharge after running my batteries down to complete-bike-motionless-state, the indicated recharge voltage came up to 93V. The fully-charged voltage had previously been 92V. I guess I need to re-try that experiment, although I want to avoid the expense of being towed again. Hah! EDIT: After sitting overnight, the voltage was 92V. I hooked up the charger again, but it only took about 18W before it was full (94V this time). So I guess that is a "surface charge" effect or maybe battery degradation from having pulled their charge down so low. I assume the bike has a low-voltage cutoff that shuts the power off if any cell reaches 2.5 volts. If It doesn't, running the pack flat will damage it! Yes, I should have mentioned that 74V is the low cutoff (for however many cells are there). I was able to roll along for a half mile or so on 74V, then it stopped. I let it sit for 5 or 10 minutes, then rolled a little further, then it wouldn't go any more at all. An interesting point I didn't know was that I wasn't turning on regen (I didn't know on that post - now I can't correct it). So that distance in my plot is without regen. We planned to do two stops for charging at 72 kms (45 miles) and to be sure we could make it to those chargingplaces we drove only full throttle in first electronic 'gear' (40 km/h = 25 miles/h). The batteries werde of course fully loaded before departure (99.7 V). It was very hot in the Netherlands the day of departure so it was a pleasant beginning of a trip what would take many hours to reach destination. We made it to our first chargingplace without any problems with 92 V left in the batteries. We knew it would take too long to fully charge our batteries over there with a charger that can only charge 10 Amps so we decided to charge till it had reached 94.5 V.
And so we started on our second part of the trip. Probably the heat I mentioned was too a bit to blame ( and of course the ZEV fully loaded with 2 persons on it) but suddenly the ZEV started to stutter now and then and when I had stopped it didn't react to the throttle anymore. When I shut down by turning the key and then turning it to on again it react normally again. As a kind of 'reset'. There was at that moment enough Volts left so that wasn't the problem. I have the impression it was the controller which got too hot. Strange because I had only driven in that 1st 'gear'. I had no fairings or other stuff on the ZEV what could disturb the cooling possibilities of the controller, except for the leg of my passenger off course. I do have to mention that it happened when we drove through a town where the heat was of course worse that in the country. Approximately at 58 kms (36 miles) the voltage was dropping suddenly much faster ( around the 85 V ) that I realized I probably wouldn't make it to my next charging point but I found one close to where I was at that moment and decided to charge there for an hour so I could make it to the next planned charging point. After that we arrived at the second planned charging point (now the 3rd place to charge) and charged there again ( 1 1/2 hour) to reach that 94.5 Volts. We drove another 37 kms (23 miles) and just reached the city of Amsterdam when the voltage had dropped to 79.5 V and the controller shut of the ZEV. There are these days enough charging points in the Netherlands so just at a few meters distance there was another charging point where I could charge to be able to drive the remaining 5.5 kms (3.5 miles). When we arrived at our destination I could now fully charge the batteries again. With that relative - who only drives a slow moped ( one that allows you to drive without an helmet) - we made several tours in the surroundings of our native city. The first one was 80 kms (appr. 50 miles) and the other was 99.5 kms (62 miles) and our speed was just 30 km/h (almost 19 Miles/h) After each tour I was able to fully charge the batteries and at the end of the first trip there was 92.3 V left in the batteries and after the second tour 91.3 V.
I considered that was a serious difference with what we had experienced on our big tour to get to Amsterdam! I first realized that driving only 30 km/h (almost 19 Miles/h) made a lot of difference with the 40 km/h (25 miles/h) I had driven before and when I studied the way the charging process was going I noticed that it took the charger a lot of time to get from 94 V to 95 V (more than 1 1/2 hour). When it had reached 96 V it took just an hour to get to the 99.7 V ( 102 V at the charger). So I decided to do it different on our way back to the south. We would try again to charge only two times at 72 kms (45 miles) but would drive now no faster than 30 km/h (almost 19 Miles/h) and at the charging points to wait till the charger had reached the 95.5 V.
And it worked!!! We reached home that way, exactly as we had planned. That was our experience at the first serious big trip we made with the ZEV. At our way TO Amsterdam we had spent 6 hours and 40 minutes for charging and at our way back home we had spent 4 hours and a quarter charging. That's already a serious difference and could be shortened even more when we would have a charger which could be set between for example 10 and 20 Amps. At home 10 A would be sufficient but that occasional time one plans a bigger trip and has to charge during that trip it would come in handy to put that charger then in the 20 A mode. For that would save a lot of time. By the way, thnx Darus for mailing me with advice for how to increase the Amps of my charger a bit. Overheating controller while you are just doing 40km/h on flat terrain with persumably little wind (given the heat) I find very astonishing. Maybe something else was amiss - imbalance in the battery for example? You need to keep charging until a higher volts are reached. Not just to low 90s. The battery top balance when you are up in the high 90s to 102 volts. I suspect that as your bike is quite a few years old + has been ridden loaded with camping gear + fairings + two people + steep grades on back one lane roads in the high mountains at a pace that you described as somewhat lugging, you need to check your cells. You need to charge the bike to max charge and let it set there for about 36 hours on the charger, then make a chart and check each cell voltage. Then put the bike on the center stand, put some vice grips or some pliers lightly fastened on the throttle, put the bike in 2nd and let it run until it shuts off. Look at the voltages again and mark them on your chart. You are looking for a cell or cells that are out of line with the others. Indeed I do know now that higher voltages are required, at least to be able to drive bigger distances. But as I wrote, the charger takes it's time and sometimes enough time is not at hand. That is the main reason I would like a charger what could charge with more amps. For those rare moments I have to charge when I'm still on the road. Though I have the ZEV now for two years in my possession ( it had arrived already a year before in the Netherlands but the Dutch government had made a lot of problems about nothing to get it licensed ) I haven't been able to drive a lot with it, due to circumstances. Only 2450 kms on the counter right now. Only one summer (2015) I have been with it in the mountains of France but the old controller wasn't as good as the one I have now. This summer it is my intention to repeat that trip ( with of course again the ZEV on a trailer to our destination in the south of France) and this time I'm confident without any problems. To get to that issue of which I presumed it must have been the controller, it happened only a short period in the beginning of that journey I just wrote to you about and I had just driven about 53 miles (85 kms) of the total of 379 miles (610 kms) of that trip to Amsterdam, the days after touring around over there, and then back to where I live. And it didn't happen again at any moment afterwards. And at the only moment THAT it happened the controller felt really, really hot. I think it can only have been at that moment due to unusual hot circumstances, and we were with two on the the bike in a quite busy town at that moment with lots of traffic-lights and no wind whatsoever. After that moment we have driven 326 miles and it didn't happen again! Actually I doubt that there is/was something with the cells, for I reckon if that was the case it would have happened more times than only that one particular time. About my charging habits, when I'm at home or somewhere where I can charge like at home I usually leave the ZEV on the charger for at least 24 hrs or even more ( after this last trip it has been for more than 36 hours charging). For when it gives 101.9 or 102 V it also still gives 0.01 or 0.02 Amps and I know that can be for balancing. When I disconnect the charger, again when I'm at home of course, I give the ZEV time to let the cells balance afterwards, before riding with it. For I have read that would be better. Only when I am making a big tour - and the trip I just wrote about is the first big trip in two years - I am breaking those self-made rules. But I don't imagine that could harm then too much for that happens only rarely. As I recall Darus, you wrote to me once you now had too a controller with 36 mosfets instead of the default 24 mosfets my controller has. You wrote to me once that the controller with 36 mosfets was getting less warm due to that increased number of mosfets. Could that be a solution for me to be sure it won't happen again in extraordinary circumstances as I have just described? For I usually drive with two on the ZEV and indeed it might happen that the weather is very hot and I even might be with the ZEV in the mountains as I have planned for this summer as I did two years ago. Ok, understood. The controller that you have now is the work horse for loads (the 2nd controller). The one you have is the 36 Mosfet unit as I recall. Same one as we run on the tilting trike with 15 kw which is far heavier and more drag. Yours has the snap off connector on the rear and two lights that light up on the back when powered? If yes, that is the big one. I think you might find it is better to do one good charge rather than two at only low voltage. Your bike has the same battery pack as Patti who is commenting here, the same controller, a little bit different motor. Darus, I think you've misunderstood my previous message. The controller I have is the one with 24 mosfets which replaced the one my bike was delivered with in 2015. But you wrote to me afterwards that there was now also a controller with 36 mosfets which would probably suit me better due to the fact I am usually riding with 2 on the bike. I'll give you the numbers of my controller so that you can check it yourself. SN: AH84-120A2A2-D1C9H5-20140927-001 Production Date: 2014-9-27. As far as I have understood that was still the controller with 24 mosfets and I have no lights at the back of it. Suppose that I'm correct and it is still the old one with 24 mosfets, could that have been the reason for it's temporary overheating at the beginning of our trip in that town? That's the main reason I would love to have a charger which could charge a bit faster. At home or somewhere else where there is a good connection 10 A is sufficient and I know it's better for the batteries. But on the road it would be nice to be able to charge a bit faster. Thnx for paying so much attention to this subject. It doesn't happen ( to me) all too often that a manufacturer of products gives himself so much attention to questions like mine. No problem. Very few riders put enough time and Km on their bike to give us feed back that can supplement our testing. So any glimpses into a possible problem are helpful and appreciated. I sent to you a few days ago the instructions on how to raise the amps on your charger. If that does not raise it enough to suit your liking, we can go to a larger charger that can go far more amps on 220, but the cost of the chargers starts to soar. If you have no lights on the back of your controller, and does not have the purple clip on the connector at the rear like this photo, then you have the older controller. Still, I rather doubt that it overheated under the conditions described. You can switch controllers if you desire. I have a purple clip at the back-end of my controller but I couldn't trace no lights whatsoever. As I wrote it DID get hot in that town and every time I stopped for a traffic light it didn't respond to the throttle when I wanted to accelerate at green light. I turned the contact key off and on again and then it did respond, until I had to stop again. Then I had to repeat that ritual. But it happened only then and there. Later I didn't have problems anymore like that, even not in a big city as Amsterdam where I had to stop many times. But the controller didn't get that hot anymore ( I checked periodically) and the temperature of the weather was more modest. And I drove slowly of course. That's the reason why I thought it could only have been the controller. I drove 326 miles after that incident and it didn't happen again, but it wasn't as warm anymore. I don't know yet how it will react when I'll be driving in second or third position, but until now I didn't experience any problems when driving faster on shorter distances. I haven't opened the charger yet to try to increase the Amps of it. I'd rather wait until an electrician-friend of mine is there to assist me, but I'm definitely gonna try it, because it can only mean an improvement. Of course I'll let you know when I succeed. Will the charger be able to function right when I increase the amps? Won't it get overheated or something like that? Because it appears to have been built to deliver 10 amps and no more than that at 84 V.